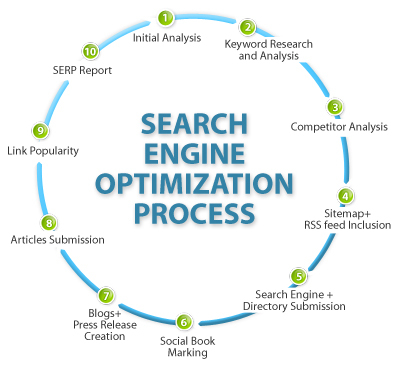 These days we often use or hear the word “Search Engine Optimization”, or the lingo “SEO”. Sounds a bit heavy and technical, but in actuality it’s a simple process that allows maximum visitor traffic to a specific website, ensuring the website appears high in the list of results, given by search engine. Most commonly used search engines are Google, Yahoo and Bing. You can opt for paid search or regular search. Very few people opt for paid search. No single mantra will assure a SEO ranking. It would not help, if a page has low quality content, but an amazing HTML title. Always keep the content positive. Negative content brings down the ranking. A publisher can have control on his website and keep check on what is being published. Important HTML links that help search engines with significant information, this is called as on-the page success factor. While off the page success factor does not allow the publisher to have any direct control. This is because many times controlled content by publishers do not get guaranteed ranking, and most of the times the information is not as relevant as it seemed. Penalties on SEO, are best described when a website is black listed for violating or manipulating search engines understanding of a websites true content and authority. Good research and quality content are the key. One should make their content more unique. Remember it’s what you provide to the search engine that others cannot.Keyword is a must. If you want your page to be a success, and found easily, then make sure you use the correct keywords at the right places. If you have good content and no keyword, then you need to reevaluate the content. Confused on keyword! Well you can repeat a keyword in every paragraph of your content. Or, you can use/repeat the keyword 4-5 times in your article. Select a keyword that feels more relevant and comes easily. Direct answers versus indirect answers, is a simple method wherein you ask a question and without clicking on the link the search engine shows you the results. Pros, quick and easy. Cons, you don’t get a hit on your website. Whereas, indirect answer – ask a question, and answer appears on entering the website. Pros, generate more traffic. Cons, time consuming. Direct answer method seems more successful as this builds trust within the user, signifying the website would have more relevant answers. Gone are the days when you get the same content all over the web when searching for an answer. These days’ people get personalized experience on using search engines. Few factors that play significant role in search engines is Country, Locality, personal history and social connections. Market plays an important role as well. Always understand your customers and the market trends. Try to get as much fresh content as possible. This not only increases traffic on your website but also increases the ranking. This is the primary code used for creating web pages. Search engines easily pick up website rankings by specific HTML codes. A search engine recognizes a page with its HTML coding and understands what the website is about. Based on this, try to craft a unique and a more elaborate title for your search engine. Titles and sub-titles also play an important role in search engines. This is the right method to find the key sections of a web page. If the header carries the words that you want to be found, then the chances of your web page appearing high on search engines increases. Using this method, one website is linked with another website or a webpage. The number of links you have on a web page increases your success of SEO. In doing so, make sure you don’t start spamming. This would only bring down your website. Search Engine Optimization or more commonly known as SEO is the process of maximizing the number of visitors to a particular website by ensuring that the site appears high on the list of results returned by a search engine. 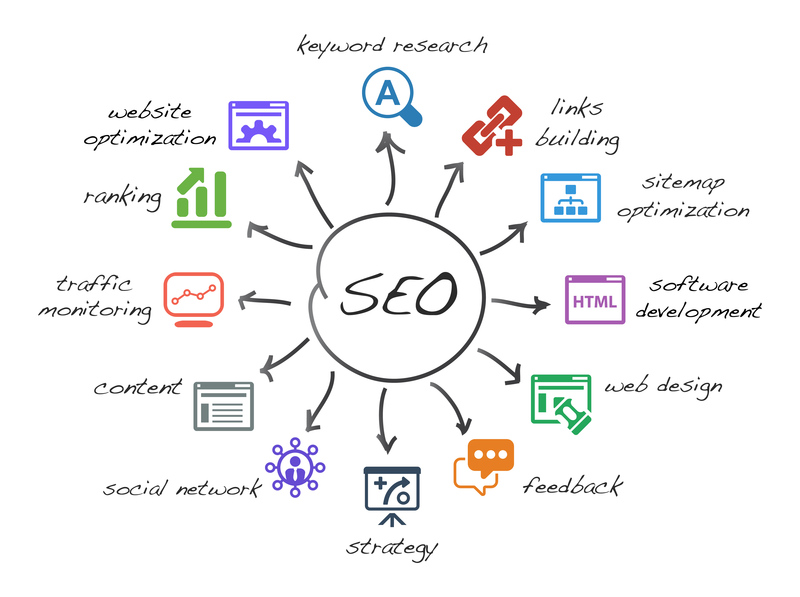 We provide SEO services at very competitive rates. Control flow of website and navigation according to SEO terms. We have a team of expert SEO professionals to achieve high quality back links in an ethical way and hordes of other Search Engine Optimization Process. and if you wish to know more about our various SEO packages, please click here.